Upon request, we have added some 24 Hr, Quick Shipping TLR-6 IWB Holsters to the line up. Each holster is for the Right Handed Shooter. Best worn at the appendix position or between 3-5 o'clock. Each holster comes with a Mid Ride Height and Straight Cant Angle. 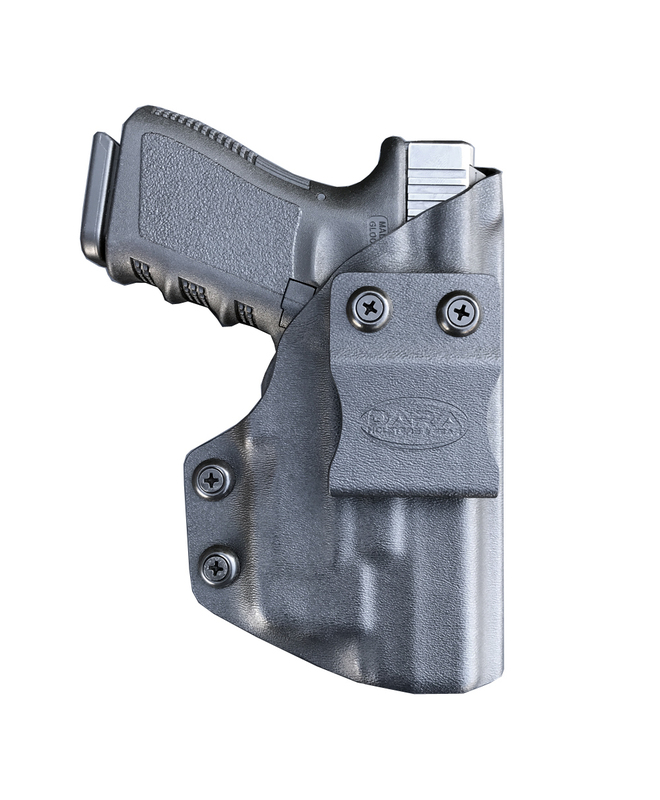 All Dara Holsters come Equipped with Adjustable Retention. Each Retention Screw comes pre-coated in a shock absorbing thread wed to reduce the risk of retention screws backing out. Our 24 Hour Quick Shipping Holsters all come with 1.5" Belt Clips, the standard size width of most belts.